We are closed on Tuesdays from Christmas Day until Memorial Day. Lunch begins on Saturdays and Sundays at 11:30AM. Restaurant bookings are released the 1st of every month at 9AM PST. Our inn is open every day. Inn bookings may be made up to six months in advance. 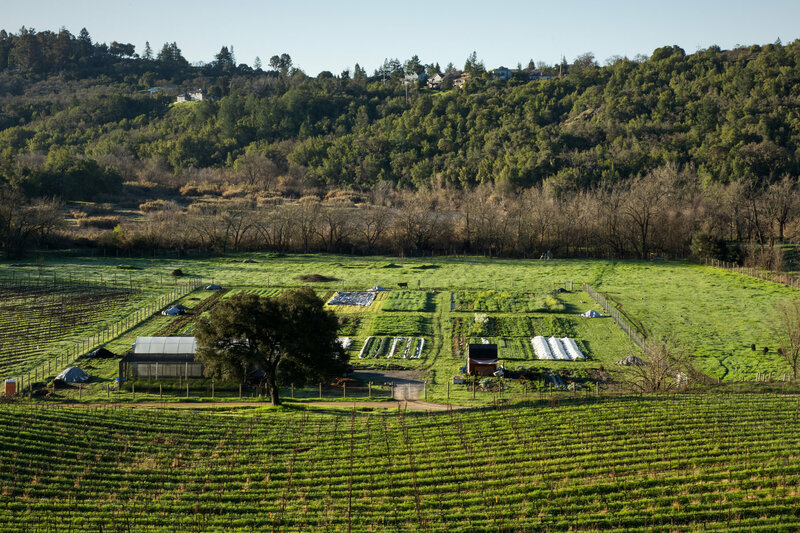 Located seven miles away from the inn and restaurant, SingleThread Farm lies between the Russian River and the historic San Lorenzo Ranch in Healdsburg, California. Farmed by Head Farmer Katina Connaughton along with the SingleThread Farm team, the property consists of a greenhouse, shade structures, loamy fields, chicken coops, an heirloom fruit orchard, olive trees, beehives, and a cattle paddock all surrounded by Cabernet Sauvignon, Zinfandel, and Chardonnay vines. The farm supplies vegetables, fruit, herbs, flowers, honey, eggs, and olive oil to our restaurant kitchen. 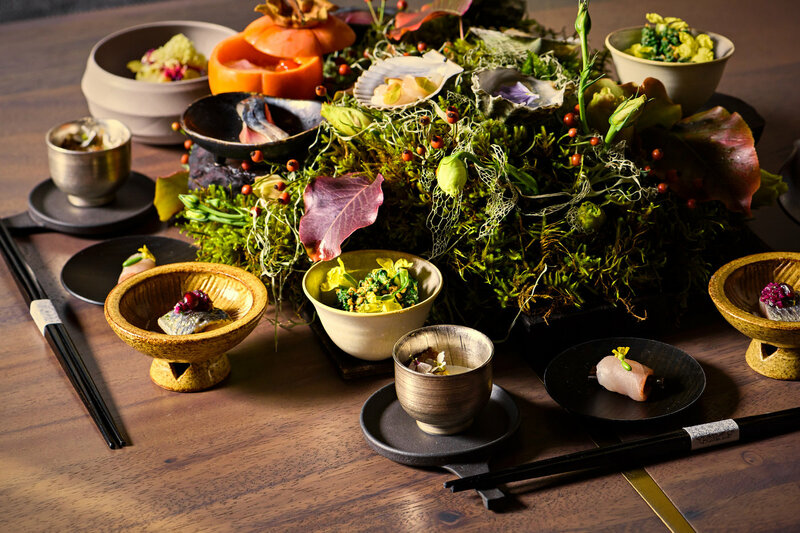 We offer an eleven-course tasting menu customized to our guests' dietary preferences and restrictions. All of our restaurant reservations are handled through Tock and purchased in advance as ticket bookings. We will contact you by email to confirm menu details for you and your guests. Tucked away on the second floor, our inn has five thoughtfully appointed guestrooms, including a 700 square foot suite. Each room is designed and crafted to create a timeless, luxurious, and contemporary atmosphere. All our rooms host an assortment of curated amenities to make each moment of your stay memorable and unique. Our Inn is open Monday - Sunday and bookings may be made up to six months in advance. 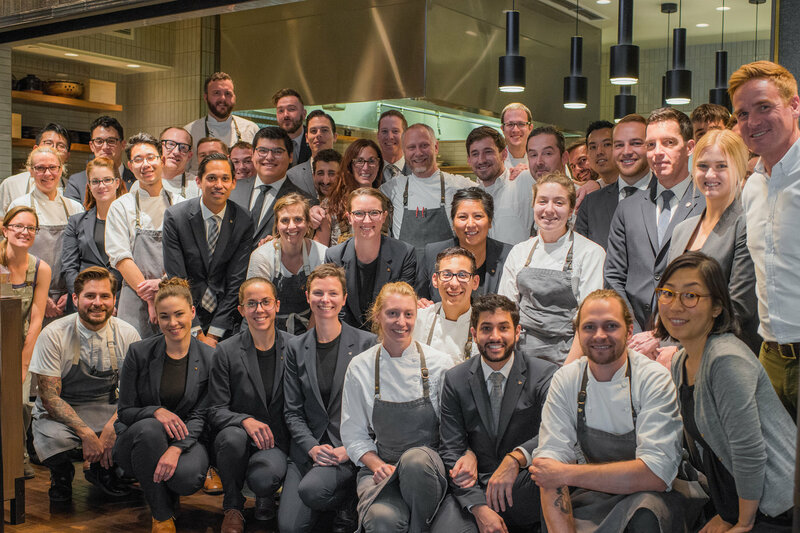 SingleThread Farms seeks engaged and driven candidates to fill positions of our dynamic, hospitality-minded team at SingleThread Farm - Restaurant - Inn, located in Healdsburg, California. 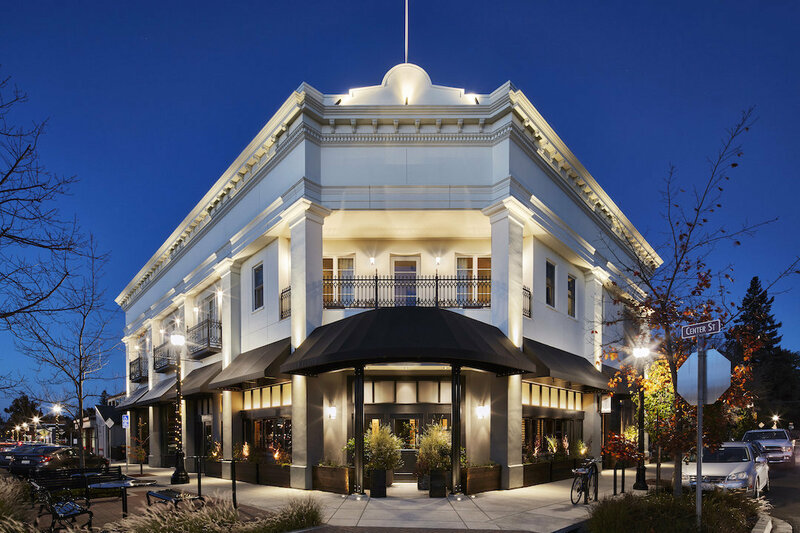 SingleThread is a source-focused, farm-driven restaurant and inn concept that offers its diners and guests time-honored preparations of seasonally inspired cuisine and a uniquely curated taste of Sonoma Wine Country. The concept was born out of Kyle and Katina Connaughton's Southern California upbringing as well as their extensive international travels and experiences living and cooking abroad in both the UK and Japan. 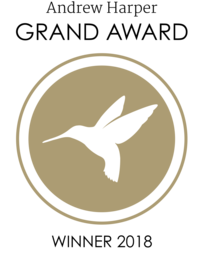 Our foundation is rooted in the Japanese concept of 'omotenashi', a heightened sense of hospitality and anticipation of a guest’s every need. For us, the relationship between farmer and chef is more than a side story; it is the heart of the experience. Please, no phone calls. Equal Opportunity Employer.